Noah, a film about the prophet revered by both Christians and Muslims, has been banned in Malaysia as Islamic teachings do not allow visual depiction of a prophet. Film Censorship Board chairman Datuk Abdul Halim Abdul Hamid said the decision is a “precaution”, as the film may be considered insensitive to Muslims. “The movie is banned because for us Muslims, we believe in Prophet Noah (Nabi Nuh) and according to Islamic teachings, it is prohibited to act out any characters of a prophet. “Any depiction of any prophet is prohibited in Islam,” he told theSun. 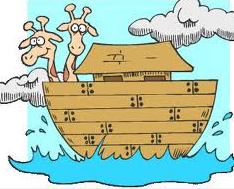 via Noah banned in Malaysia | theSundaily. This entry was posted in A.S.E.A.N and tagged Censorship, Moah Ark. Bookmark the permalink.